The Fett Wall light from Tech Lighting is an instant classic. 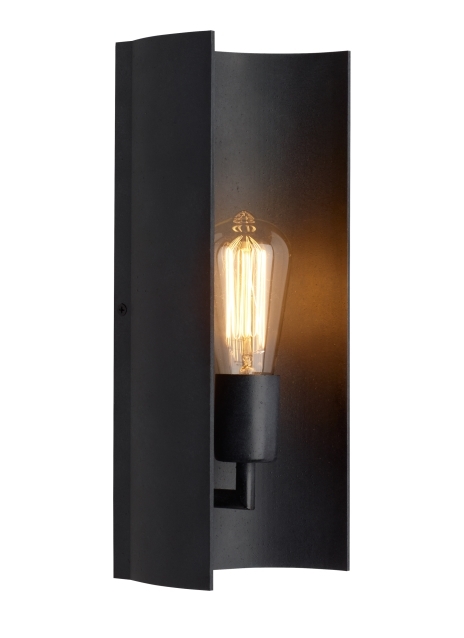 The rich aesthetic of this sconce is most attributed to the deep, weathered zinc finish. Its wonderfully imperfect signature texture is naturally created during a meticulous molten aluminum sand casting process that results in a noticeably thick shade that projects a truly monolithic appearance. The Fett Wall is ideal for hallway lighting, closet lighting and foyer lighting. Available lamping options include energy efficient LED and no-lamp, allowing you the option to light this fixture with your lamping. The LED lamping option is fully dimmable to create the desired ambiance in your special space. Rated for (1) 60w max, E26 medium based lamp (Not Included). LED includes 3.5 watt, 300 delivered lumen, 2700K medium base LED squirrel cage lamp. Mounts up or down.